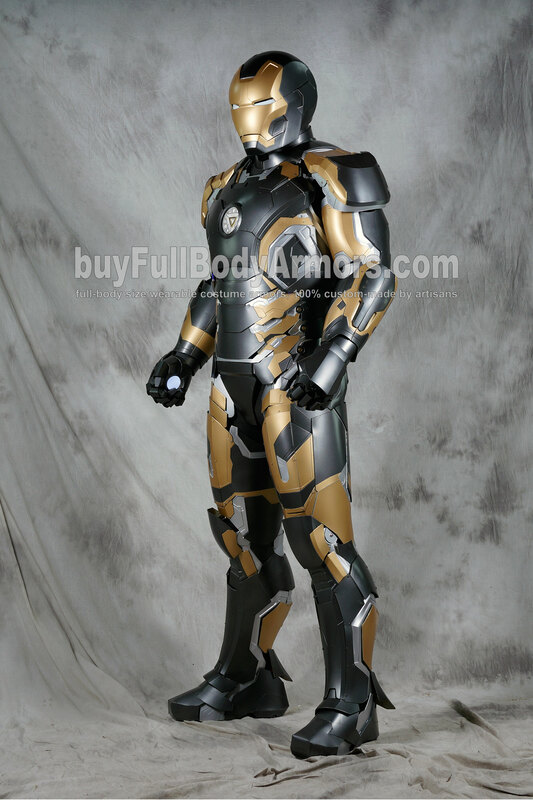 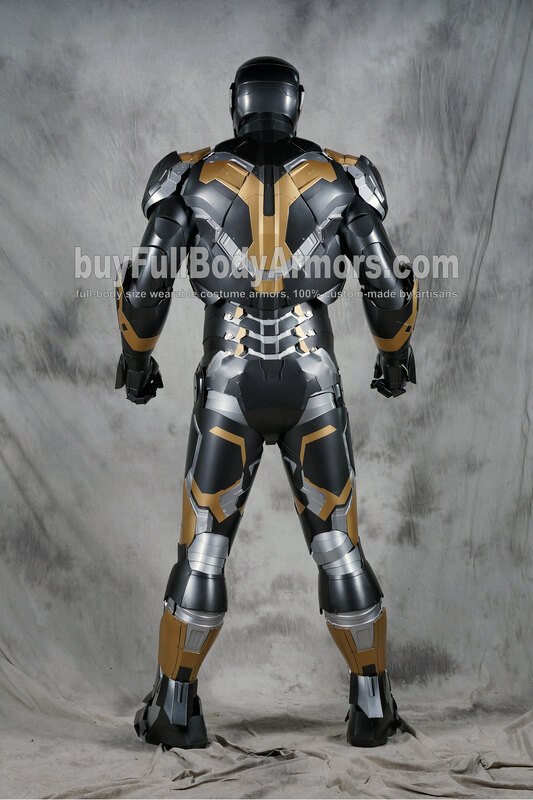 The black gold custom painting for the wearable Iron Man Suit Mark 43 XLIII armor costume. 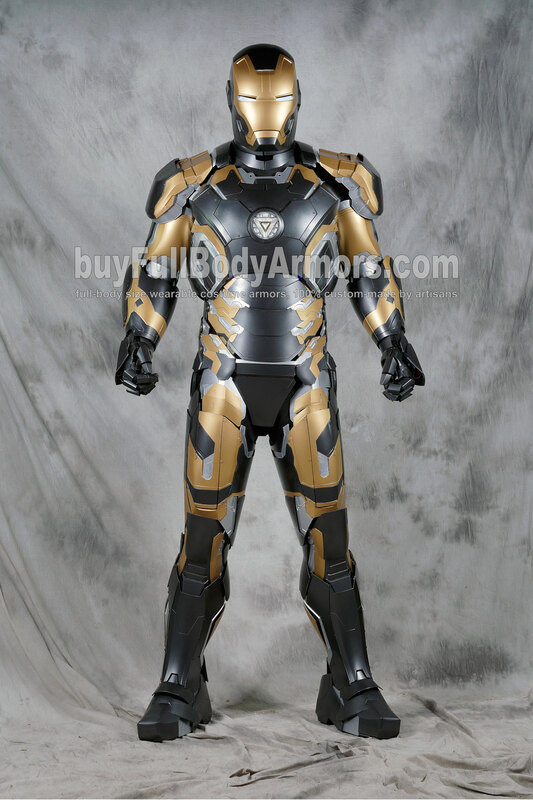 If you want to purchase a wearable Iron Many suit in this color design, please place your order through the Mark 43's product page and leave a note to state you want the black gold painting. 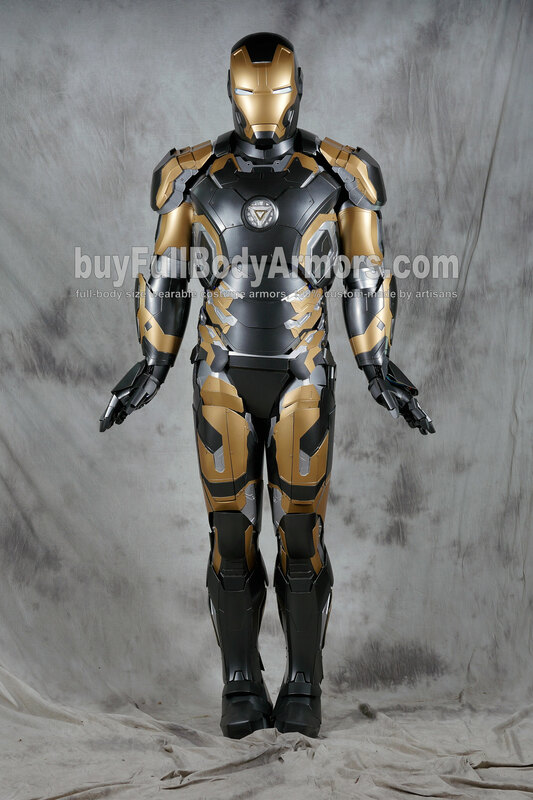 This entry was posted in News,Iron Man Suit Mark 43 XLIII Wearable Armor Costume R&D Milestones,Iron Man Suit Mark 43 XLIII Wearable Armor Costume R&D Full History and tagged Iron Man Helmet,Iron Man Armor,Iron Man Costume,Iron Man Suit,Iron Man Mark 43 armor,Iron Man Mark 43 costume,Iron Man Mark 43 suit,Iron Man Mark 43 helmet,Iron Man Mark XLIII armor,Iron Man Mark XLIII costume,Iron Man Mark XLIII suit,Iron Man Mark XLIII helmet on Jun 12,2016. 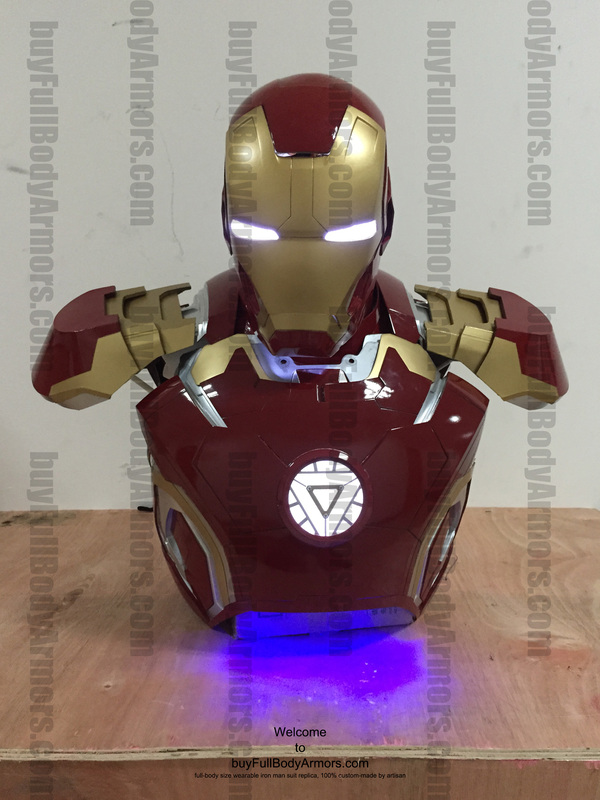 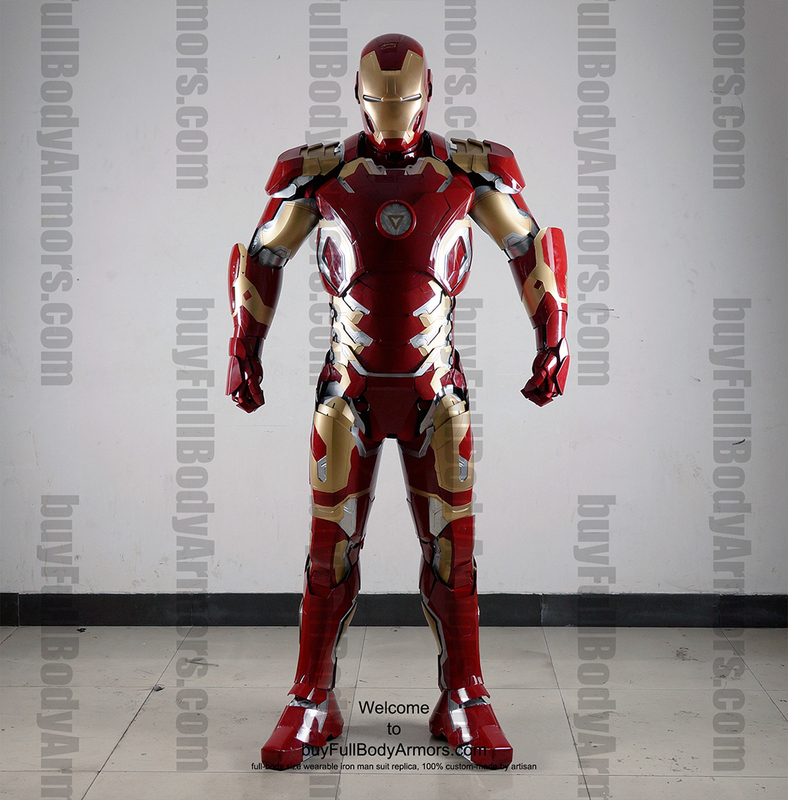 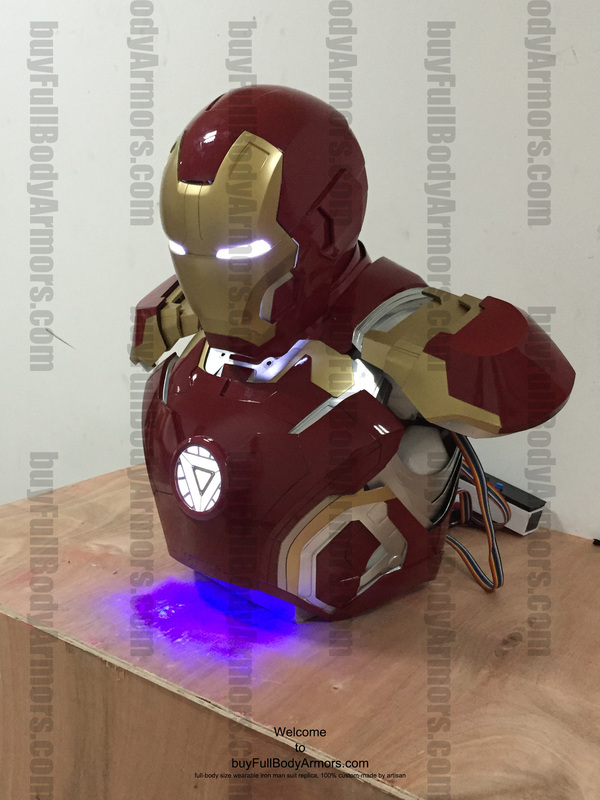 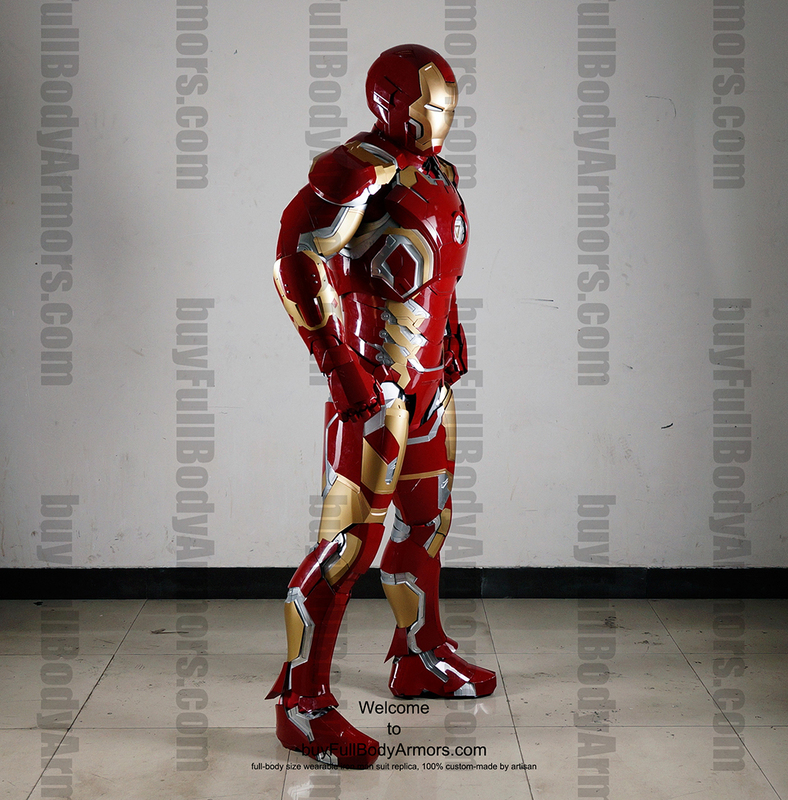 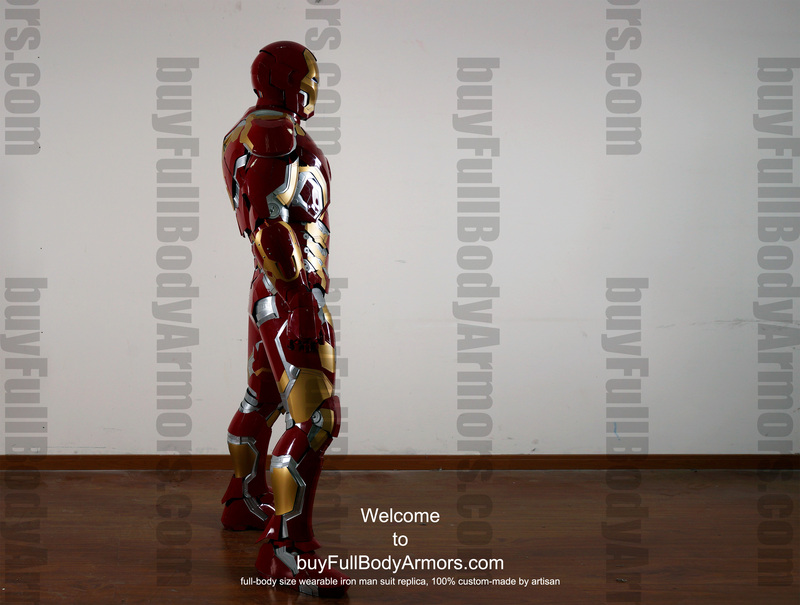 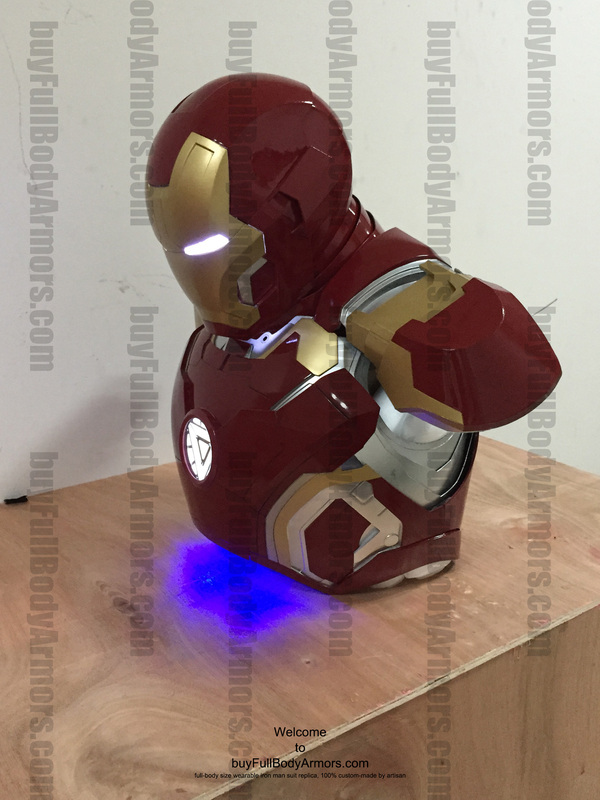 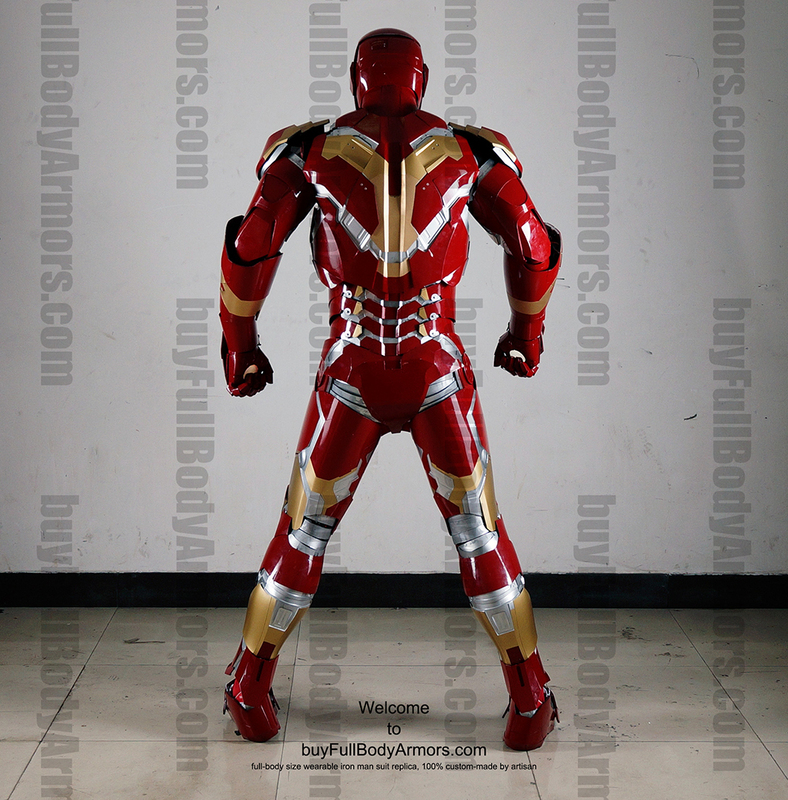 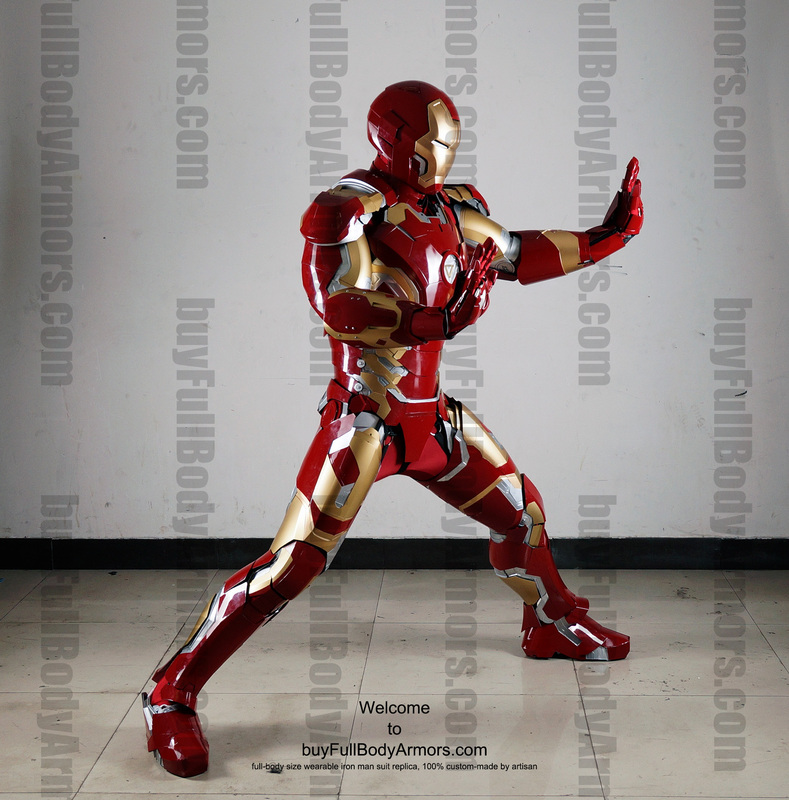 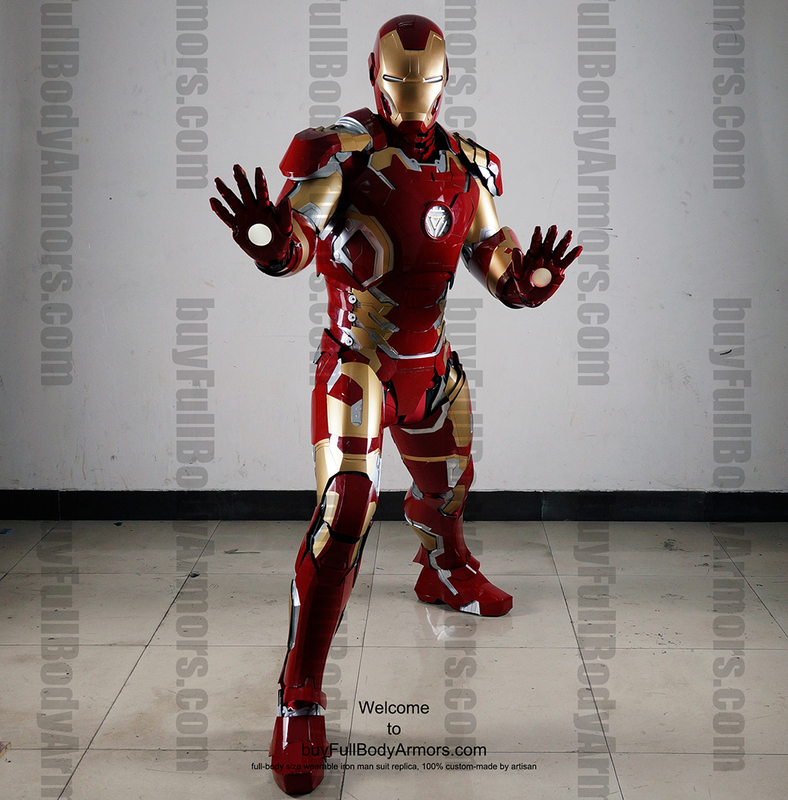 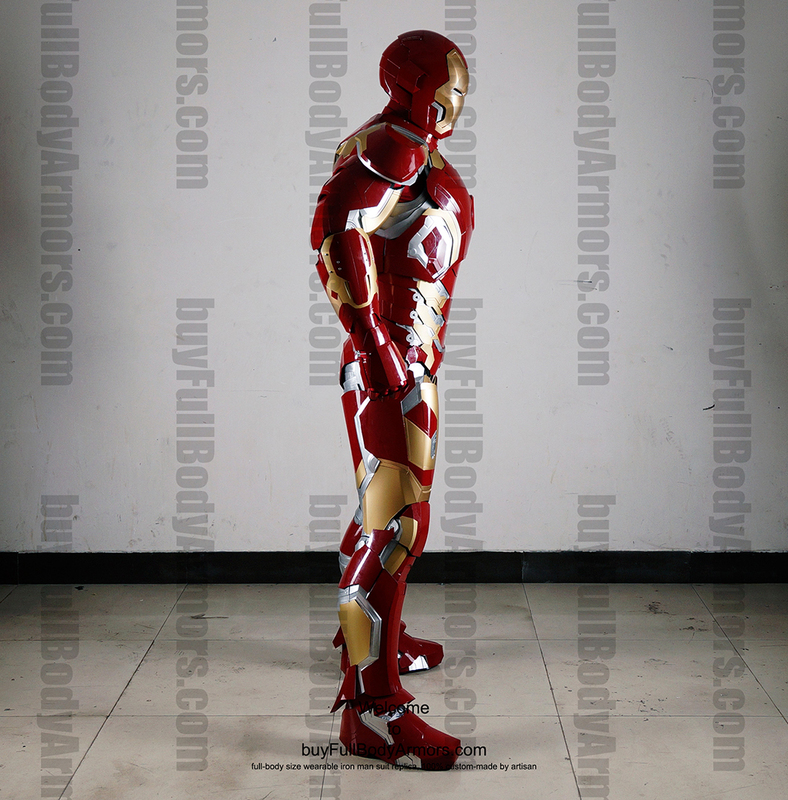 Dear Iron Man fans, here is a new post for the Wearable Iron Man Suit Mark 43 costume. 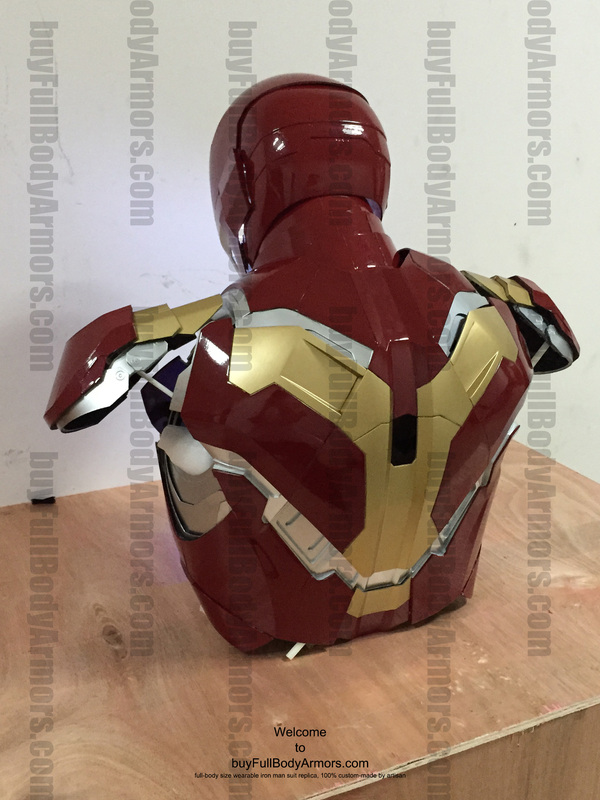 This video aims to show you how tough the layered and bendable neck armor structure is. 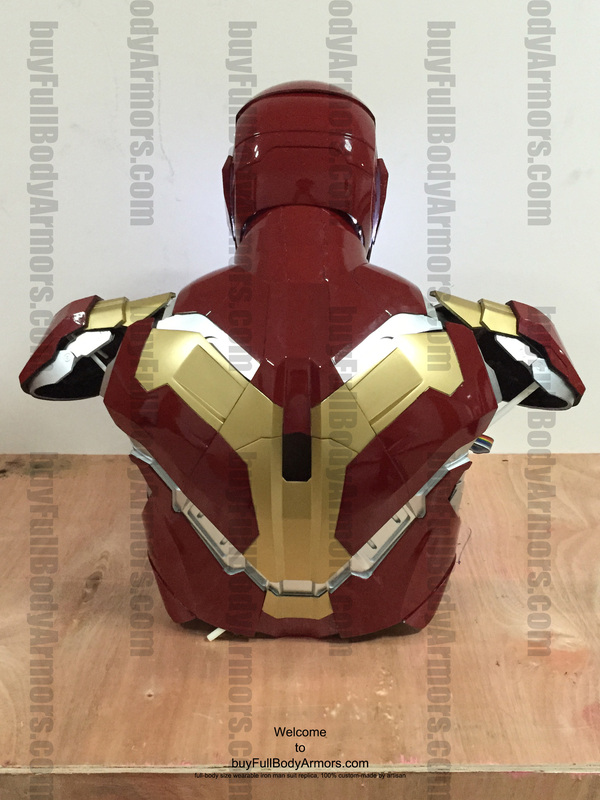 And the coverage of the neck armor is always 100%. 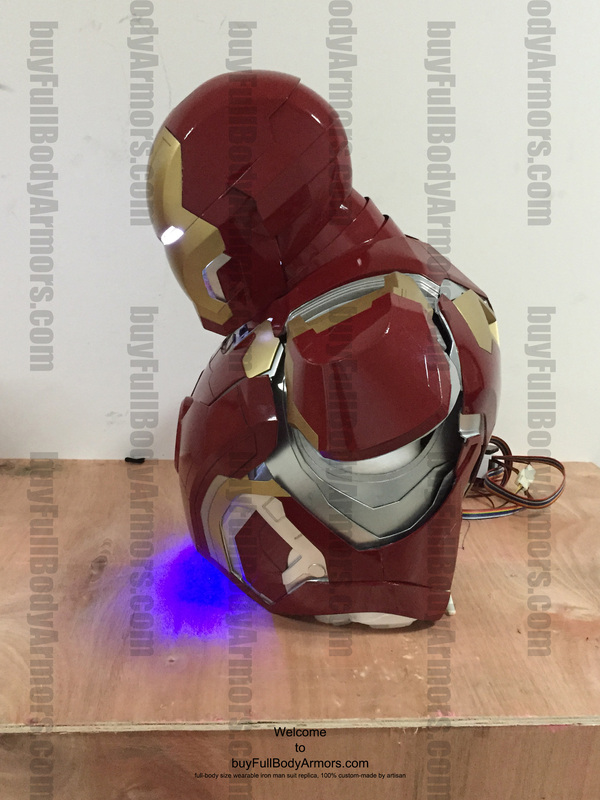 This entry was posted in News,Iron Man Suit Mark 43 XLIII Wearable Armor Costume R&D Full History and tagged Iron Man Helmet,Iron Man Armor,Iron Man Mark 43 costume,Iron Man Mark 43 suit,Iron Man Mark 43 helmet on Jun 19,2015.